The Multistate Professional Responsibility Examination (“MPRE”) is a two-hour, 60-question multiple-choice examination developed by National Conference of Bar Examiners (“NCBE”). Fifty of the questions are “scored”; 10 are unscored pretest questions (which are indistinguishable from the scored questions.) MPRE scores are reported on a scale ranging from 50 (low) to 150 (high). Scores are based on the number of questions answered correctly; points are not subtracted for incorrect answers. The NCBE administers the MPRE three times per year, usually in March, August, and November. The MPRE is based on the law governing the conduct and discipline of lawyers and judges, including the disciplinary rules of professional conduct currently articulated in the American Bar Association (ABA) Model Rules of Professional Conduct, the ABA Model Code of Judicial Conduct, and controlling constitutional decisions and generally accepted principles established in leading federal and state cases and in procedural and evidentiary rules. Amendments to the ABA Model Rules of Professional Conduct or the ABA Model Code of Judicial Conduct will be reflected in the examination no earlier than one year after the approval of the amendments by the American Bar Association. For the subject matter of the MPRE, see the NCBE’s MPRE Subject Matter Outline. For a list of key words and phrases included in MPRE questions, see the NCBE’s MPRE Key Words and Phrases. 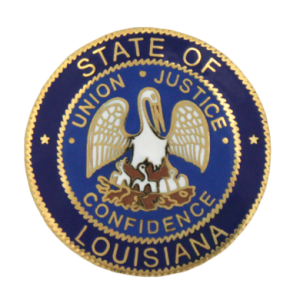 The MPRE is required for admission to the Louisiana bar. See Louisiana Supreme Court, Committee on Bar Admissions, MPRE Page. Louisiana requires a scaled score of 80 or higher on the MPRE. (Other states require scores between 75-85.) A passing score for the MPRE is valid in Louisiana for a period of five years from the date of the examination. However, an applicant who has been admitted to the bar of another state after passing the MPRE and who has complied with the continuing legal education requirements of the applicant’s state of admission will be considered to have satisfied the requirement. To register for the examination, visit the NCBE site here: MPRE Registration. Other MPRE preparation resources, including practice questions, are available on the NCBE site: MPRE Preparation Resources.